It’s been almost a year since their last collaboration, but this week Grey Matter Art will finally be releasing a new poster in their popular Marko Manev Marvel Movie Poster Screen Print Series! Check out this insane The Avengers movie poster by Manev. This officially licensed print, based on the epic 2012 Joss Whedon directed film, looks absolutely fantastic. And The Blot loves that Marko placed the focus of his design on the film’s real breakout star, Tom Hiddleston’s Loki! With Avengers: Infinity War almost here, this is one release you will definitely not want to miss! 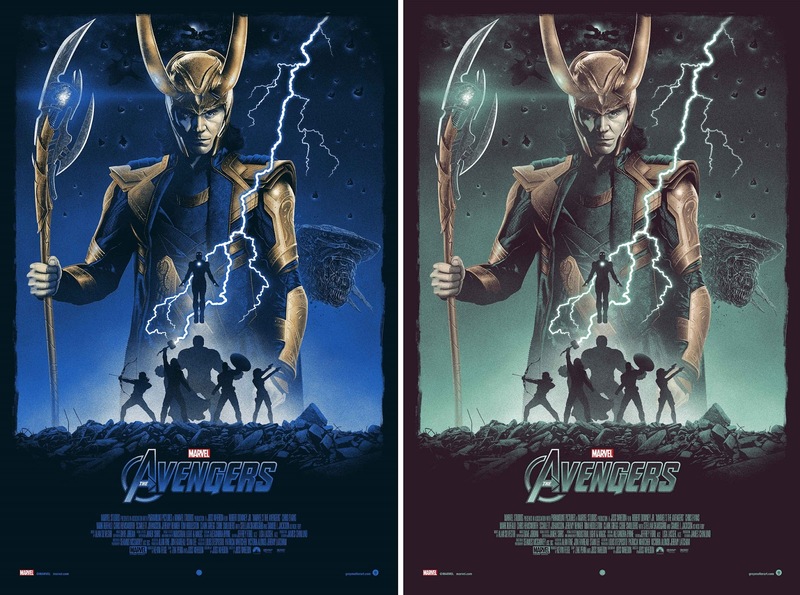 The Avengers by Marko Manev is a 24” x 36” hand numbered screen print. The Regular Edition is limited to 100 pieces and will retail for $45, while the Variant is limited to just 50 pieces and will retail for $50. Both versions will go on sale at 1pm EST this Wednesday, April 4th, at the Grey Matter Art online store.